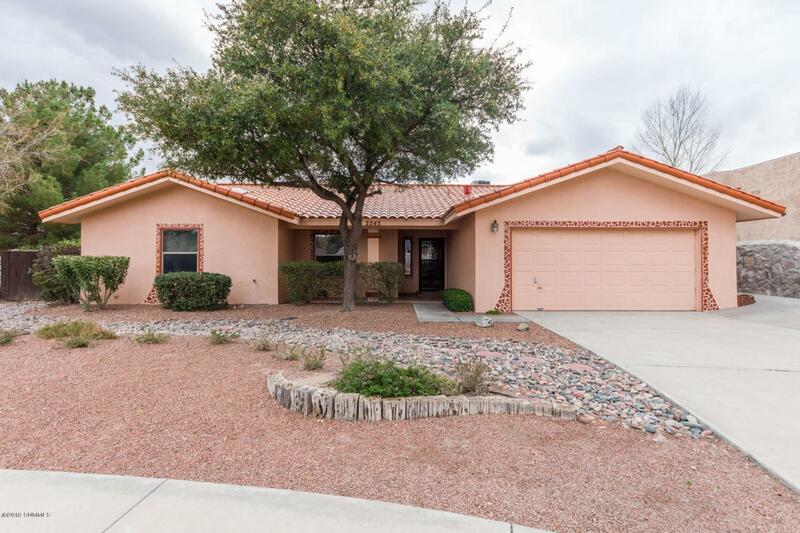 Fall in love with this immaculate property that offers 3 bedrooms, 2 baths, a 2 car garage and 2,159 Sqft of living space! An amazing front view welcomes you to this home surrounded by a rock wall and located in a Cul-De-Sac area. A large living room invites you to come in to enjoy the beautiful fireplace and built-in bookcase. Walk further and you'll see a nice country style kitchen, that includes a pantry, granite counters, built-in dishwasher and an island that also shares space with the family room. The master bedroom has a spacious walk-in closet. The fine master bath has a walk-in tub which is handicap accessible and double sinks. Come outside and enjoy the large back patio where you will find a wonderful pool, perfect for those family dinners.Solar panels create low if any electric bills.